Ahh, but I suspect that they saved money on their fire suppression system. * That saved money has probably done all kinds of wonderful things. Maybe lower taxes, some other pet project, who knows but definitely the priority over any likely requests around this risk. * these old landmarks are always burning up during renos. Very predictable. Last edited by KC; 15-04-2019 at 01:05 PM. It's devastating to see all this history, just vanish. A very very sad day. We were there 10 years ago, looking at our photos, compared to this beautiful building , burning out of control, it is indeed an awful day in history. Can't believe you're making light of this terrible event. 850 years of history gone in a matter of hours. This is an incalcuable loss for all of us. yeah. Pretty cheap remark KC. gone in a matter of hours. This is an incalculable loss for all of us. The loss to history and art and culture is unimaginable. Of note, the spire was built fairly recently, as far as the building goes. late 19th century? But the pictures are hard to fathom. Real sad. Update from the Fire Brigade. 250 tons of lead did what no war has done - drop balls of fire from above. Regarding the High Level bridge - do you have the mental capacity to even understand my thread on the bridge? Nor my many other posts on history, preservation, risk avoidance and many many other issues focused on sustaining and preserving the great aspects of our lives. Please go back to school and finish elementary school as it’s obvious that all you can do is call upon your base emotions and hostility by attacking me. Failing to use your brain to anticipate things means that all you are capable of is living life through knee jerk reactions. Bottom line, you can care before and make a difference. Caring now can only make a difference through, say, making a donation to support whatever they need, possibly restoration of what’s left. Moreover things we value regularly get destroyed or lost. Why are we called to forever and repeatedly express shock and disbelief at such tragedies as if we don’t know how things actually work - or rather - don’t work? Especially why must we appear shocked when we know that everywhere the people most affected have likely done little themselves despite their capabilities to prevent negative events? Now, maybe I’ll feel differently in a few days if it’s discovered that it was arson and the permanent on site fire crew were overwhelmed. However then I’ll have to ask if the automatic fire suppression system shouldn’t have kicked in to contain it long enough for other crews to arrive. Moreover, such national treasures are likely on the main lists for such attacks and thus substantially prepared, but I’ll sure understand that any attack is very hard to defend against. If the cause was renovation related, then didn’t the fire at Windsor Castle years and years ago or the many many since not provide any insight to the risk? Last edited by KC; 15-04-2019 at 02:45 PM. A very sad loss of a magnificent 850 year old church. As said before, renovations by careless workers have destroyed many iconic buildings. One of the bell towers might collapse, it's still burning.. Imagine losing the Hotel MacDonald that is 100 years old and then imagine losing one 850 years old. Insight from a professional firefighter about the difficulty in fighting a fire like this. It can happen to the most careful workers. Therefore be prepared. If anything if it was accidental, blame should often be put on many others further up the chain of events and not on the poor slob tasked with the actual work. Now how about those real living persons putting their lives at risk fighting this fire? (Maybe taking a risk that was totally avoidable.) No one has mentioned them so far. Why not? Do their lives matter less than a building? Why am I now mentioning it but you haven’t? Your gap in concern for the living is truly vile. I wonder why they didn't fight the fire from above. The water wasn't reaching the highest spots..
Really KC, just because we don't mention it wdoes not mean we are not concerned. You are just covering your insulting remarks. When your house catches fire, probably the last people that should be attacked are the firefighters called in to fight the fire. My remarks aren’t insulting. They reflect experience and a growing intolerance of senseless loss and destruction. my guess is that trying to fight the fire "from the highest spots" wouldn't have accomplished anything. firstly, until the fire actually breached the roof, and water being fed from above - whether by hose or from "flying water tankers" would simply have been shed by the cathedrals roof. secondly, by the time the roof was breached, the temperatures would likely be hot enough to instantly turn any water from hoses to steam while the amount of water dumped by a "flying water tanker" - even if it could be pinpoint aimed like a missile - could potentially collapse a compromised structure. as for what was actually done vs what wasn't, it's only conjecture on my part and conjecture in an area where the firefighters on scene have much more knowledge and much more information than i do. i wouldn't deign to give them instructions on a simple housefire if i was there, never mind a life-safety monstrosity of a structure fire such as this one. France24 is reporting that the fire is under control and that the two towers on the northwest end of the building may yet be saved. With a melting point of 327.5C, 250 tons of leaded sheathing would have disappeared pretty quickly to expose the timber frame. And sorry, my apologies. I didn’t mean to imply that you were attacking, but just wondering about things, which we all will be doing until more facts start to come out. I just don’t like the common tendency for people to complain and then for more people to pile on those dealing as best as they can with situations they have little control over and must simply do their best given their lack of prior control. No worries. The structure isn't sound enough to take water bombs, but they can spray( I don't know the technical term) anyway, it's not a happy day to see the destruction..
"mage being circulated now by Medieval European Heritage online, purporting to show the interior of the cathedral. It appears that at least some of the vaulted ceiling is intact." Pre fire interior for comparison. He's married to Selma Hayak, who played Esmerelda in The Hunchback in 1997. 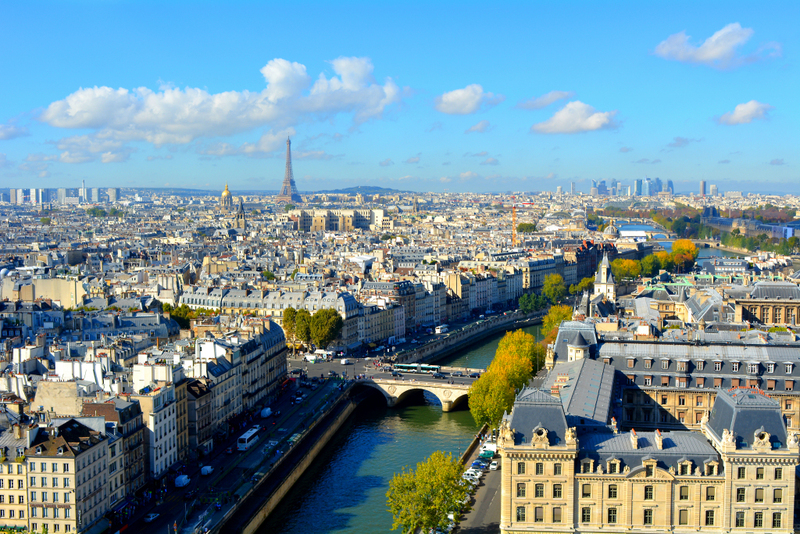 French billionaire Francois-Henri Pinault pledged 100 million euros ($113 million) towards the rebuilding of Notre-Dame Cathedral in Paris, which was partly gutted by a devastating fire on Tuesday (Manila time). I’m all for rebuilding of ancient artifacts. Creates interesting challenges to solve, recreates lost beauty and amazing things, creates a lot of work and puts food on the workers tables, etc. Should Afghanistan's Bamiyan Buddhas be rebuilt? “French archaeologist Thomas Loren says too much money and time is being spent on an unrealistic ambition. “French President Emmanuel Macron has promised to rebuild fire-ravaged Notre-Dame Cathedral and says he is seeking international help to restore the Paris landmark. Last edited by KC; 15-04-2019 at 07:08 PM. Watching the video coverage, I got a chill when I thought of some worker having that moment of "oh sh*t!" I would say those French fire fighters did one hell of a job in saving what they seem to have. I didn't know mass had started, when the fire broke out. I'm glad nobody was hurt badly. I thought I heard one firefighter was hurt, but is okay. Sad indeed! It'll definitely be awkward not seeing this next time I'm in Paris. 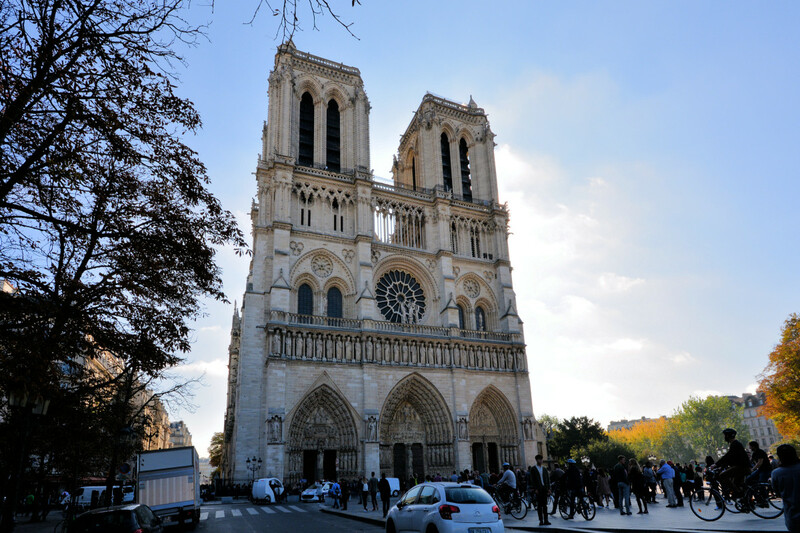 Notre-Dame de Paris is an iconic structure that will no doubt be restored. It's not an option. But it will take years, if not decades. One can only hope that the vast majority of artifacts both internal and external have survived the carnage. The following external images from October 2017 should provide some context of what was at stake and what may have been lost. ^ The front (west) facade I hope has been largely unaffected. ^ Detail from the north west entrance. ^ This is what you won't be able to see for some time to come. Looking west from the cathedral. 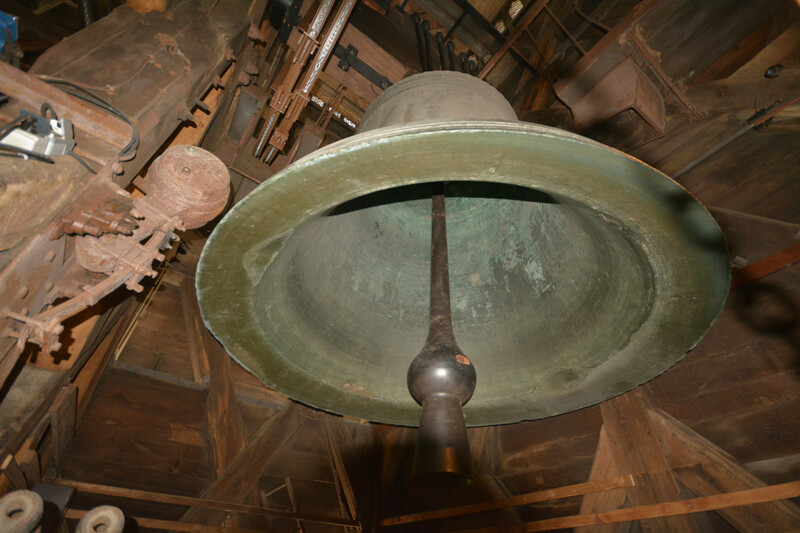 ^ One of the bells (not certain which one) housed in the south tower. It appears that both towers were spared fire damage. ^ View from southeast with the main spire prominent. ^ Focus on the now-collapsed main spire. ^ This appears to be one of the biggest uncertainties. Were the main-spire bronze statues already removed for renovations? 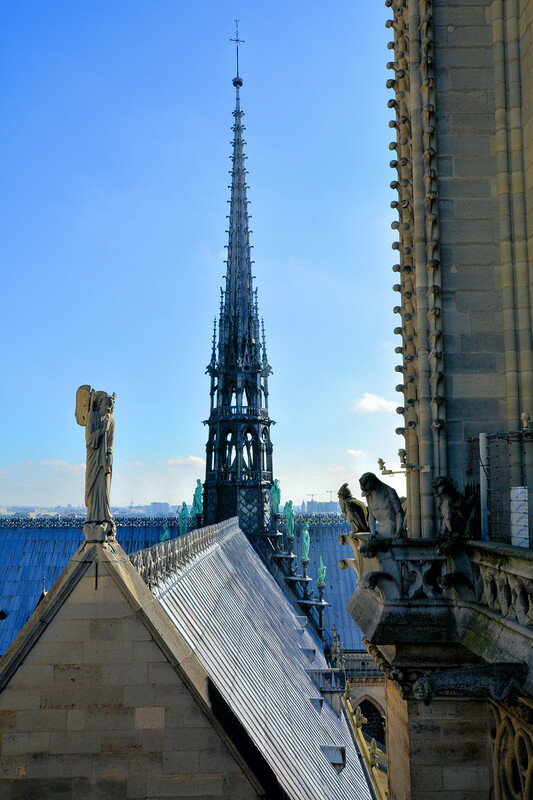 ^ Overlooking the "cross" and main spire from the south tower (looking east). ^ Main-spire bronze statues from southwest. ^ Looking east at the roof from between the north and south towers. ^ Rooftop detail looking northeast. How much of this was lost? The green, copper statues around the spire were removed last week due to the renovation. This was one of my first thoughts about the reproducibility of the underlying structure. Unique irreplaceable materials. “A French cultural heritage expert said France no longer has trees big enough to replace ancient wooden beams that burned in the fire. Last edited by KC; 16-04-2019 at 07:28 AM. Rebuilding funds are approaching, or are now over, a billion dollars. “The fire watch is a person hired to monitor the renovations and be on hand with a water hose in case a fire starts. It's an FDNY requirement for big jobs in New York, according to former Fire Commissioner Tom Von Essen. "My guess is that didn't happen there," he said. "A solid lead roof that keeps the water out also doesn't let the water in from all the hoses they were shooting at it, so it had to be put out from inside. They weren't able to put that fire out until the ceiling collapsed, and it dropped down into the base of the cathedral." Last edited by KC; 16-04-2019 at 01:12 PM. I wonder about the timbers. If the stone vaulting below has survived that means that the timbers probably haven't collapsed on the vaults - these are extremely heavy timbers that take a long time to burn, there may be enough structure left to hold up a new roof. On the wooden timbers, I think they are all lost. That’s sad because unlike stone carvings, the timber-work is a double loss. Loss of the carving and/or joinery and the loss of the unique timber itself. Last edited by KC; 16-04-2019 at 04:56 PM. Glad that they had removed many pieces of art before the fire as part of the renovations. Also glad that they did not follow the Firefighter in Chief, Captain Trump, who would have destroyed the Church with water bombers. Trump simply does not understand that French firefighters are experts in the knowledge of how centuries old buildings are built, have studied the construction of Churches including Notre Dame, drill continuously on how to fight them and have fought countless blazes before. They are experts, Trump is an *****. I wonder how much of the 250 tons of lead did melt and where it pooled, what pressures is the lead creating on the structure and how they will be able to remove it. Even a ton of lead seeping in between walls can create massive spreading forces due to the density. I trust that they will rebuild Notre Dame in due time. People forget the huge number of Churches and treasured buildings that were destroyed far worse in WWI and WWII and many were rebuilt within 20 years. Heavily damaged during an earthquake in 1349, then sacked by Napoleon's troops in 1799 and later reduced to a pile of rubble by allied bombing in WWII. Ruins after WWII, site in 1958. The remaining ruins were left for 50 years as a war memorial, following decisions of local East German leaders. Last edited by Edmonton PRT; 17-04-2019 at 08:26 AM. Good to see. Hopefully such donations continue to flow to help rebuild some of the other great heritage sites destroyed over the years. It’s also going to be a nice financial injection and jobs creator for their local economy. Last edited by KC; 17-04-2019 at 09:18 PM. Isn't the Catholic Church worth something north of $30 BILLION dollars, and tax exempt worldwide? They could easily rebuild this building on their own. They're self-insured. Nobody is asking you to donate so what is your issue? My guess is that it’s the accumulation of truly obscene levels of wealth - aided by tax free status. However, I see it as their national asset that not only serves their religious users but also likely served to generate large amounts of income and jobs in their country. When it was built it created huge numbers of jobs and put food on the table for many people, and then for hundreds of years it has attracted tourists and users that have further spent money in the city. In my mind that’s an amazing national treasure to have and you’d think - to protect. That’s why it seems so odd that it was allowed to age so badly and then to actually catch fire and burn and destroy so much irreplaceable value as well as risk the permanent and total destruction. Seems to me that they got very lucky that something survived. I guess they didn’t think it was worth enough to say have a fire crew on site 24/7 until adequate fire suppression and fire resistance was in place? I don't have a problem with guilt about money. The way I see it is that my money represents an enormous number of claim checks on society. It's like I have these little pieces of paper that I can turn into consumption. If I wanted to, I could hire 10,000 people to do nothing but paint my picture every day for the rest of my life. And the GDP would go up. But the utility of the product would be zilch, and I would be keeping those 10,000 people from doing AIDS research, or teaching, or nursing. I don't do that though. I don't use very many of those claim checks. There's nothing material I want very much. And I'm going to give virtually all of those claim checks to charity when my wife and I die. Last edited by KC; 17-04-2019 at 09:47 PM. Give KC a cookie! That's a correct answer! I have no problem with people donating, but if the Pope wanted to truly be virtuous, His Holiness would say no, or say he would use the funds to help the needy, the poor, the downtrodden. You know, the church's actual mission! It's what Jesus would do! Last edited by FrozenOrca; 17-04-2019 at 09:39 PM. you guys are ******* stupid. Someone donates and you take issue??? My only thought on the donations is that the insurance should be replacing everything so why do we need any donations at all. No. I’d say that their church/government* can use private funds for this and hopefully instead their pope could donate money to the restoration of lost heritage in a poor country. That would create jobs, feed people and create tourism potential to sustain an impoverished people. * I believe I read where it’s government property. Last edited by KC; 17-04-2019 at 10:08 PM. People can donate all they want. The building was a masterpiece. It also has a sordid history. It was a postcard building, and had architecture to behold. For us Catholics, it is a holy place. I get the fervor, and I do thank the donors. The question was asked at work today so as a parishioner, I thought I'd throw it out here. It is an interesting question in light of a lot of soul searching His Holiness has had to do as of late. You mean in letting a national treasure, a world treasure, first crumble to the point of near collapse, and then eventually let it catch fire and burn? Really? Do you honestly think that for real? It was being renovated like many other historic buildings. The church was under renovation for years and it was not as you state, allowed to be at the point of near collapse. 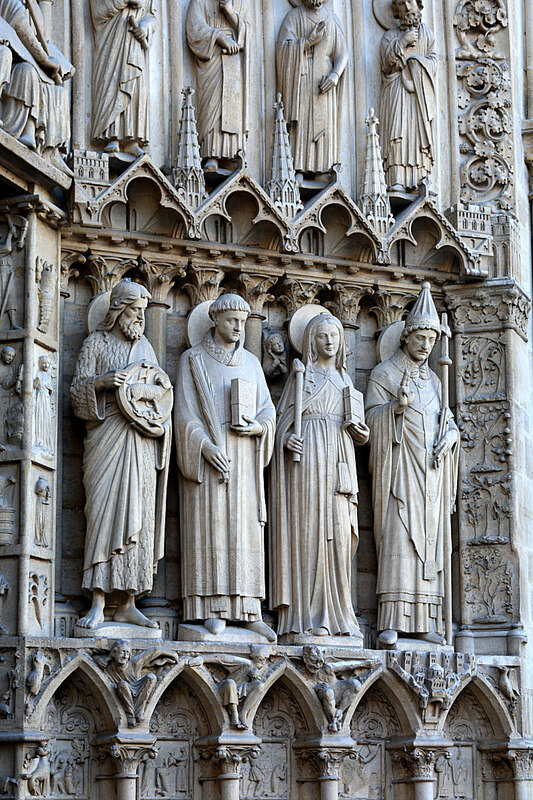 Beginning in 1963, the façade of the cathedral was cleaned of centuries of soot and grime. Another cleaning and restoration project was carried out between 1991 and 2000. Last edited by Edmonton PRT; 17-04-2019 at 10:23 PM. Notre Dame is owned by the French Ministry of Culture. 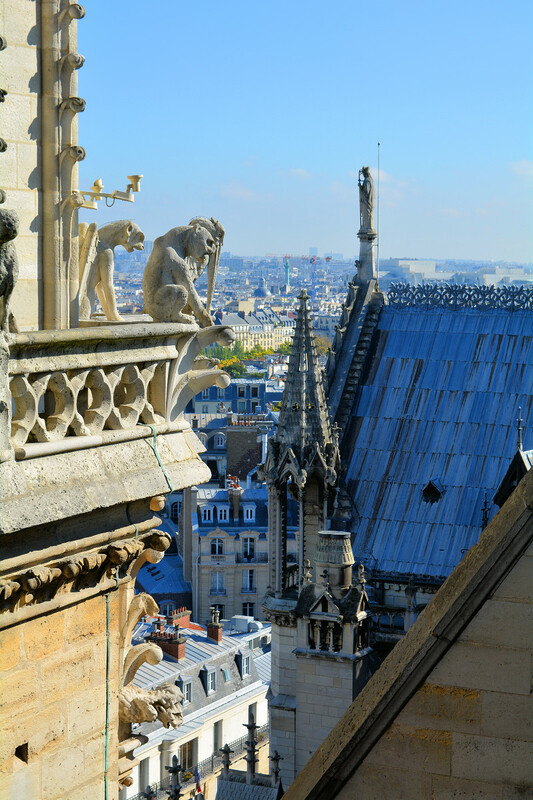 The French Ministry of Culture owns Notre Dame and is responsible for its maintenance. The state used to foot the bill for all of Notre Dame’s upkeep. But in recent years the high cost of the repairs Notre Dame needed meant the French Ministry of Culture could no longer pay to maintain it. This saw the Archbishop of Paris and the Diocese of Paris create the Friends of Notre-Dame de Paris organisation. 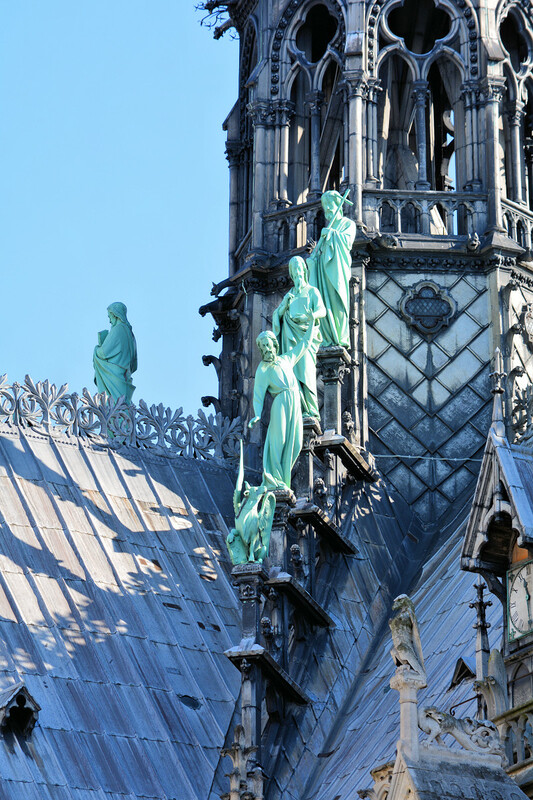 The Friends of Notre-Dame de Paris is a charity that urges people to donate money to go towards the cathedral’s upkeep. Honestly, can you not use your mind beyond taking the most literal unintelligent interpretations of people’s words? If you hop in a car, don’t use a seat belt and thus get injured in an accident, that doesn’t mean you wanted to get injured. To be clear, I would also say that: no, you didn’t want to get injured. So how can you not understand the most basic, most elementary of concepts about this fire? ...Entry for everyone is free. Last edited by KC; 18-04-2019 at 12:05 AM. Completely contrary to the opinions that you assert that the French want an American bailout. 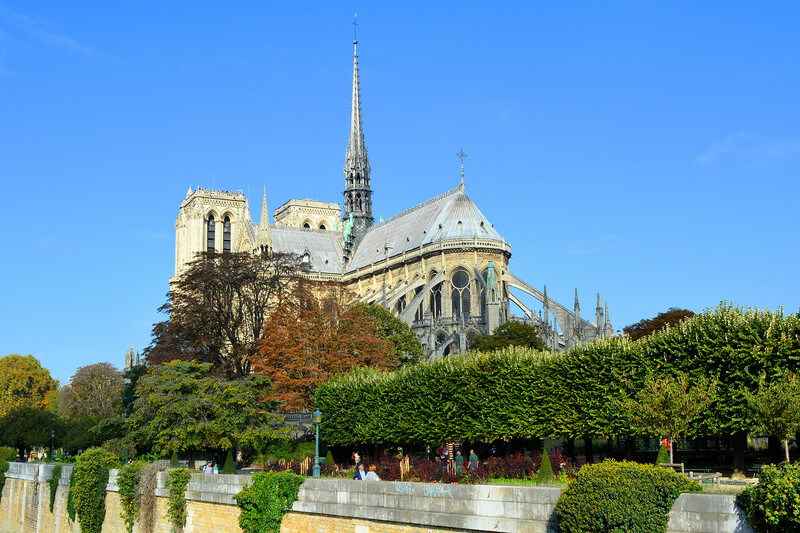 London(CNN Business) France's three wealthiest families are coming to the rescue of a national icon, spearheading a fundraising drive to rebuild Notre Dame that has topped $700 million. Check the date of that article. Before the fire they were working on a shoe string budget. As for being opinions that I assert, they weren’t my opinions but simply quotes. My opinion which has been obvious since my first post, is that despite their knowing how important the Cathedral was to them (the people and the national entity of France and much of the world) they still refused to put up the money and resources to protect it. So when it’s value was blatantly obvious and in many ways financially calculable they knowingly took a chance that they could lose some or all of the cathedral and it’s treasures to some sort of calamity. They made deliberate and reckless decisions prior to this fire which they will probably try to blame on some worker and not themselves. By comparison if you were tasked with simply changing the locks at Ft Knox you would predictably and with everyone’s support, no matter the cost, have armed guards standing by to protect the treasure of gold within. And that just for gold. Here, with Notre Dame they simply didn’t care until it was too late and only now are they pumping millions towards a rebuild. It’s too late for much of the treasure. So, say in advance they needed $10 or $20 million to adequately mitigate much of the fire risk. (I have no idea.) They now face $1 or $2 billion in restoration costs that will never make up for the loss. Last edited by KC; 18-04-2019 at 07:09 AM. Wouldn't even worry about PRT's incessant baiting KC. You're more than explaining your rationale in the thread and the several attacks found in the thread were uncalled for. I get that people are very emotional about this. Especially people that have visited or have some kind of connection with the place. Its been an interesting thread to read over though and I share your view, and many others are expressing this around the world, is the irony that the greatest toil of historical buildings today is present day renovation. Its gotten to the point that if you hear a historical structure is going to be under renovation the first thought is potential fire. I mean we had first hand experience with this, as the latest instance, just with the Strathcona. Some tradesperson starts a fire incidentally, feels like he put it out, they leave for the day and the dam roof is soon in flames. Who can explain how that happens, how a worker takes the job so casually, and how its so evident that proper reporting does not occur. I mean if you start a fire, even a small fire, in a renovation of an old building attic is there no concept that you're working with Century(s) old bone dry tinder beams that don't take much to ignite. that the fire you started could have a hidden ember or two smouldering unseen. I've said this before but its like today people have no understanding of fire. Anybody working on such a site should have a whole lot of remedial training to do so, than they seemingly have. We have every technology advantage now, power tools (is that a problem) endless equipment and yet its todays tradeswork setting fire to buildings 850yrs old. Notre Dame would have been maintained, renovated countless times and impossible to know how many. No doofus crew working on it set it on fire in all that time. Last edited by Replacement; 18-04-2019 at 06:48 AM. Doing nothing is also a deliberate decision to take a risk based on a forecast that the future will be the same as the present. With an aging crumbling structure doing nothing is a decision to risk destruction. They know it. Myself, as someone that is totally ignorant of such things all I can say is that it would seem like common sense to have experts in wait and watching as different risks arise. It would also seem to make sense that in an old wooden building, long before now, measures should have been taken to better deal with the risk of fire up in the roof. Plus the risk of water damage, rot, beam failure, etc. How can decades pass without France (and the world) having actually taken some meaningful mitigation efforts to reduce the general fire risk. Then, during actual work in a highly flammable environment how could they feel that it wasn’t worth the money to ensure as near to zero fire risk as possible. With billions of dollars in replacement costs and far beyond that in irreplaceable value at stake, even 24/7 fire crews and added experts like engineers etc could have been either on site or on call in order to protect the treasure. The cost of which should be easily and willfully covered by those who gain from the presence of such treasures. Hindsight? Are you an *****? Bolding mine. Sort of undermines all your comments but certainly explains a lot. What inside knowledge do you have that the French government did not make any meaningful efforts to mitigate fire risk? Firstly, it is clearly self evident that the majority of building is made of fireproof stone. The roof is made of huge timbers that are very fire resistant. The church incorporated design included a water reservoir, covered with a lead roof, is located between the two towers, to quickly extinguish a fire. The renovations being done are of the newest addition, the spire built between 1844 and 1864. That is where the fire started. It is hilarious that you say that the building was poorly maintain and at the same time, you fail to acknowledge past and current renovations and then blame the renovations for the fire. How can you fix the problems or install fire control systems without doing a renovation? I guess we’ll have to wait and see. If if was just one of those one in a million, Act of God events then so be it, I agree that no amount of caution can prevent every disaster. Regarding the renovations, you keep missing the point, I don’t blame the renovations. Not in the slightest. Why can you not seem to comprehend the point that I’ve repeated made? Last edited by KC; 18-04-2019 at 08:15 AM. 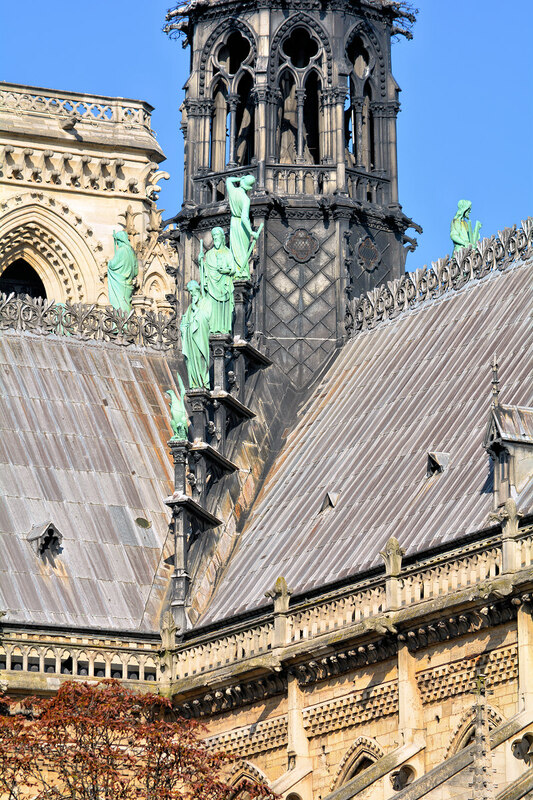 “‘It makes sense that it would be incredibly flammable,’ notes Notre Dame contributor Daniel Christian on the website for the landmark, which was posting updates as the fire raged on. “Smaller buildings from the same era have taken longer to restore. Last edited by KC; 18-04-2019 at 08:38 AM. I don't believe that people would appreciate a network of fire sprinkler pipes running throughout the ancient church. Your article explains the issues well. It was the spire that was added later which was the problem as it was made entirely of wood whereas the church itself is mostly made of fireproof stone. Notre Dame hasn’t been in great shape for a whileBuilt in the late 12th century, the cathedral was beginning to show its age. Pollution, weathering, and acid rain stained and pitted its walls and gargoyles. And there were conflicts over who should pay for its upkeep, delaying much-needed maintenance, like removing flammable dust or waxing the wooden roof structure to prevent it from drying out. I recall several old buildings in the past that caught fire while plumbers installed sprinkler systems or workmen adding fire suppression systems. Yes, basically if you’re going to do any work including installing fire suppression, it would seem to make sense that until the fire suppression system is installed, there is a risk of fire. Now, this again is getting too myopic but it’s interesting. The Notre Dame blaze, believed to have begun just below the roof, is believed at present to have been accidental. Some officials have suggested extensive renovation works taking place at the cathedral might have been involved – with one expert in fire science noting a long history of churches, synagogues and temples going up in flames while under repair. A lengthy, complex investigation will also examine the suitability of fire prevention systems and frequency and thoroughness of maintenance work at the cathedral. A spokesman for Notre Dame insisted fire detectors had been installed “all over”, together with a computerised security system equipped with 24-hour surveillance. Round-the-clock fire safety patrols have saved the Palace of Westminster from catastrophe countless times in recent years. Forty fires broke out, and were promptly extinguished by wardens, between 2008 and 2012 alone. Now back to my point. The blame does not fall on the workers, the renovations, the fire fighters, the lack of fire suppression installation, etc. If you smoke all your life you don’t blame the doctor for your cancer diagnosis. If you are a citizen, a government official, a beancounter, a local hotel owner, a local tour guide, a taxpayer... you should gladly support putting up more than enough money to preserve nation treasures, to maintain and restore national treasures and to ensure that the funding will provide insurance against predictable worst case scenarios such as fires during renovations. You should not instead demand that such work forever get delayed, that inadequate funding will be provided to do the job correctly and safely. That inadequate funding should be provided so little in the way of constant monitoring for calamitous events can be done or that there will be no funding for actually and effectively acting if and when the predictable but not expected, actually does happen. Last edited by KC; 18-04-2019 at 09:12 AM. I know the answer. Nothing complex. It simply wasn’t seen as important enough, valuable enough. FIRE DEPARTMENT CALLED After more than a half-hour, the call finally went out to dispatch firefighters.” - See article below. 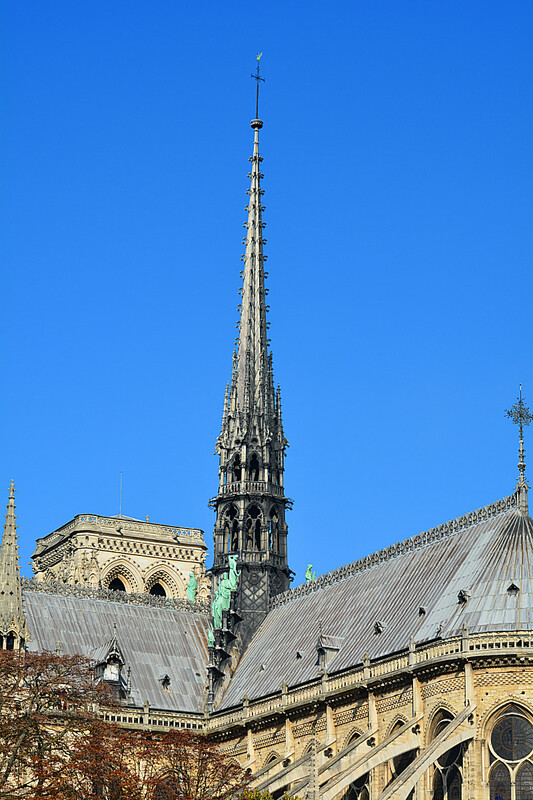 François Chatillon, a senior architect involved in numerous restorations of France’s historic monuments, also stressed that the intense fire risk in the oak timbers underneath Notre-Dame’s lead roof was well known. Last edited by KC; 19-04-2019 at 09:12 PM. How much experience have you had or witnessed how welding sparks can be contained? A French judicial police official on Thursday said investigators think an electrical short-circuit most likely caused the Notre-Dame Cathedral fire. The official, who spoke anonymously about the ongoing investigation, said investigators still don't have the green light to work in the cathedral and search in the rubble due to safety reasons following the fire Monday that destroyed the cathedral's roof and spire. No fire suppression experience here beyond common sense. Worked around and learned welding. Had summer jobs around various hazards. Note the use of “could”. My guess is that will change to “will” as people higher up the chain of command now ask, sorry - demand - that all precautions be taken. Last edited by KC; Yesterday at 06:49 AM. So what is the total value of what was lost due to the fire? I assume that they managed to save all of the historical pieces kept there as was possible so no great losses there. So it’s really just the roof, some stone damage and the economic losses to neighbouring businesses, tourism, the overall economy going forward. The ultimate rebuilding costs would be interesting to know. I’d guess that they’d likely just use steel for the roof now and not wood. “Decades of neglect were major factors in the blazes at both sites. But severe financial problems at the National Museum contributed to a host of issues that could have been easily addressed. The installation of sprinklers and other fire safety features that could have helped contain the blaze were delayed for years. When firefighters showed up, the nearby fire hydrants weren’t working. The fire’s cause, identified last week, was circuit breakers and grounding devices in the air conditioning system that were improperly installed. Last edited by KC; Yesterday at 06:56 AM. KC, as you stated before "Myself, as someone that is totally ignorant of such things", maybe you should not comment on the extent of the damage. Have you experience in rebuilding 850 year old stone churches roofs with massive blocks some 43 meters above the floor that require massive construction supports? Do you know where to find massive replacement timbers to rebuild the attic? Do you know how much time and costs it will take to remove 250 tons of toxic lead? Do you think what’s been lost is irreplaceable or something? Wood beams, an old roof. It looked bad in the early pictures but most of the place survived so was it ever at great risk from the fire? Anyway, they have pictures of the place. There’s probably millions of pictures of the old building floating around the world. So while I was never there myself, I’m sure I can just pull up a ton of pictures. Then if they rebuild, we’ll to paraphrase that French archeologist’s word’s in one of my early posts, it will be fake. Just move on. Last edited by KC; Yesterday at 07:57 AM. So your solution is not to rebuild the church and just put up a bunch of huge screens and allow people to come to the site and Google images of the church before the fire???? KC, have you ever been to Europe? 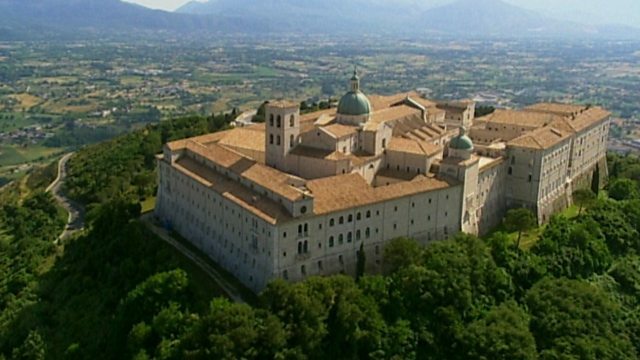 Have you ever seen an ancient church or castle that was expanded several times, burned to the ground 500 years ago, rebuilt better than ever, then ransacked, rebuilt again, then destroyed by war, rebuilt again only to be destroyed again by war and finally rebuilt? Well I have and such historic places are rich in the timeless efforts and dedication of people to not let these horrors rule over them but to faithfully rebuild, often as the most important structures in the city or town. Often it is the rebuilding from disaster that is the real stuff of history. You should learn that fact. So it’s not the loss itself that’s bad. It can always be rebuilt. Or are you answering my question about it being replaceable? As in sure it is. History shows that it happens. In fact are you saying that in this case the fire was good as it will get rebuilt and that will show the resilience of humankind and may be better than ever. It’s sort of an punctuated evolutionary view of buildings that survive over time. I can sure agree with that approach though I’d be more in favour of a less destructive continuous improvement approach even though it might alter the original somewhat. As for me, yeah I’ve seen old castles, churches, etc. rebuilt and not. The big billboard screen idea is interesting for when people decide not to build a reproduction - even when they can be more beautiful than the original and better than ever than the original was. Last edited by KC; Yesterday at 08:12 AM. You indicated by your quote that any rebuilding will be fake. That is surely a negative viewpoint on the resilience of the human condition and great achievements of mankind that have rebuilt churches, temples, castles and grand buildings time and time again. They are not fake. They are real. Las Vegas and WEM are full of fake reproductions. That was a quote expressed by an expert concerning another of the world’s treasures. A rebuilt roof may be altogether new or a reproduction of what was lost. Back to the issue though of what happened before the fire and what was lost and why. It seems that since rebuilding has historically been quite acceptable (if I understand your view in the resilience of the human condition), that might help explain how the fire was allowed to happen. But then how does that square with you perceiving and actually saying my earlier comments were vile? 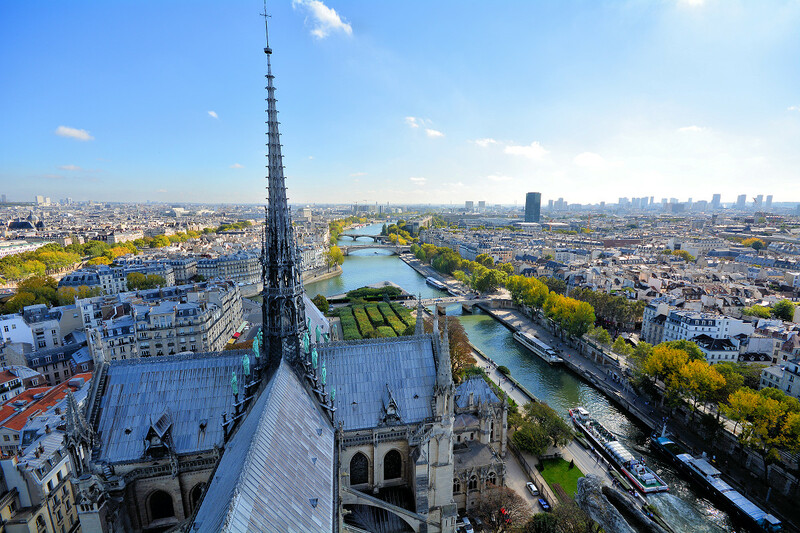 “Now the battle to rebuild Notre Dame has started and promises to be fierce. The embers seem still warm, but my unruly and angry compatriots are already dividing us into the daring and the timid, those who want to add a touch of 21st-century genius to her, and those who just want her back as she was. There is a Corbusier lurking inside every French citizen, just itching to be radical and destroy the past to create a luminous future. There is also a Bonaparte in there, wanting to redesign, reform, and dazzle the world. But there are many of us who also just want life and beauty to be preserved from our irrepressible rebellious urges. Last edited by KC; Yesterday at 10:22 AM. The fire was allowed to happen? Do you have any proof of this conspiracy theory? Why would you say conspiracy? That’s a pretty bizarre mind you have. Moreover I’m still not clear on your sense of value. You called my sarcasm over society’s / governments lack of collective will power to essentially pull out all stops to protect treasures historical assets vile. Then you proceeded to argue that the loss (and maybe even the risk that it could all have been a complete loss) wasn’t so bad, because rebuilding it reveals human resilience. I’d say it’s the furthest thing from a conspiracy as it can be. It’s was more like misplaced confidence, hubris, neglect, delay, etc. Did they have a fire crew on site during the renovations? No. Why not? Had they previously done much in the way of tangible fire protection? No, the didn’t want to make alterations. Why not? Because heavy oak timbers can’t burn very fast. Because alterations would affect the very structure they therefore decided to leave at risk.